The Big Wobble: Major Quake Shock! The first three months of 2017 is the lowest number of major quakes this century by a mile! 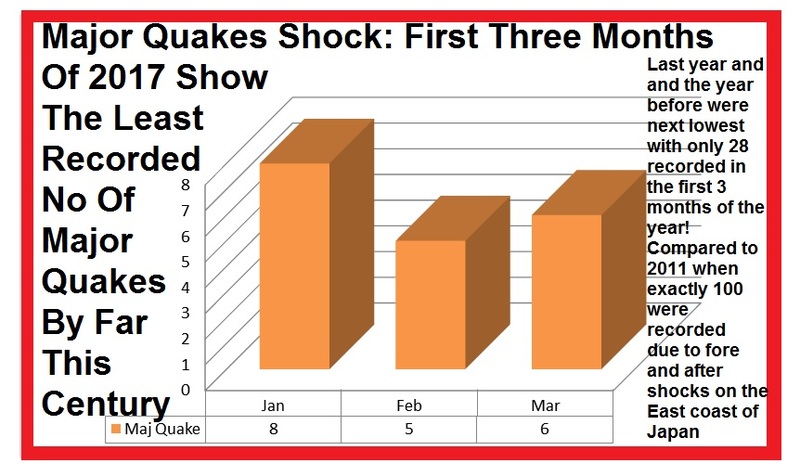 It will come as a major shock to some people but incredibly major quakes in in the first three months of this year, 2017 is the lowest amount this century with a pitiful 19 major quakes recorded, only 8 in January, 5 in February and six last month in March. It appears to be a downward trend too because the next two lowest years was last year 2016 and the year before 2015 both years recorded 28 major quakes in the first three months of the year. 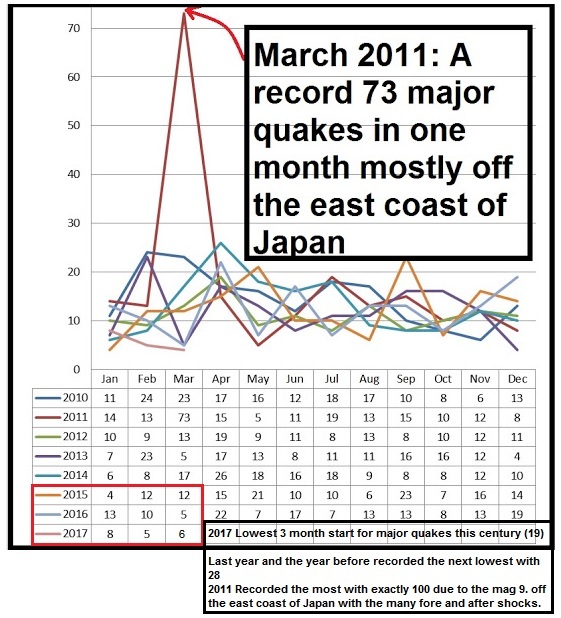 Compare this with 2011, which has the highest total when exactly 100 major quakes were recorded in the first three months of that year, these figures of course bolstered due to fore and aftershocks at the mag 9 earthquake at Honshu in Japan when 73 major quakes were registered in March alone. 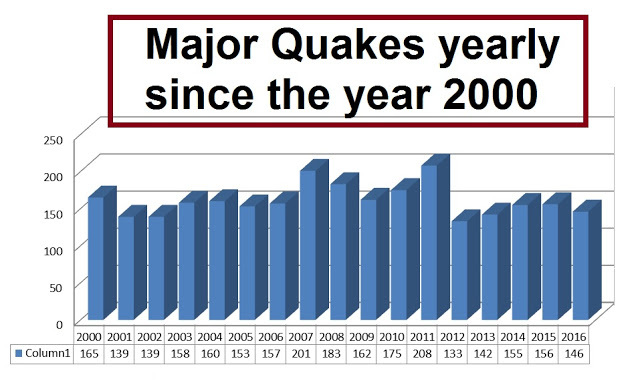 It’s still early days of course and anything could happen, the lowest yearly total for major quakes this century was ironically 2012, when many people were predicting the end of the world! The last 3 years have registered less than average totals too for this century, 2014, 155. 2015, 156. And 2016, 146. The biggest number of major quakes in one year this century is 2011 with 207, (the Fukushima year), 2007 with 201 and 2008 with 183.